We provide flooring removal services for any industry, company, or home that requires our expertise. Within all of our service packages, included is a dust-free approach to carpet, stone wood, and tile removal. Once we have completed our services, your floors will be prepped and prepared for installation immediately. Have a type of flooring that is a hassle to remove? No problem! We pride ourselves in offering a number of different floor removal services so that all types of flooring can be accommodated for and removed to professional standards. All of our floor removal services are done with innovative technology that allows a dust-free living or work environment. This means a dust free home or work space you will not have to move from while we perform our work! Additionally, flooring removal services that do not use this innovative technology leave dust behind that can harm you, your loved ones, and your pets. Invest in a floor removal company that has your health and best interests in mind by selecting DustBusters dust free floor removal! Often times, the price of floor removal services can add up from all the different costs. At DustBusters, we make sure that all of our services and prices are transparent to our customers before we begin any work. 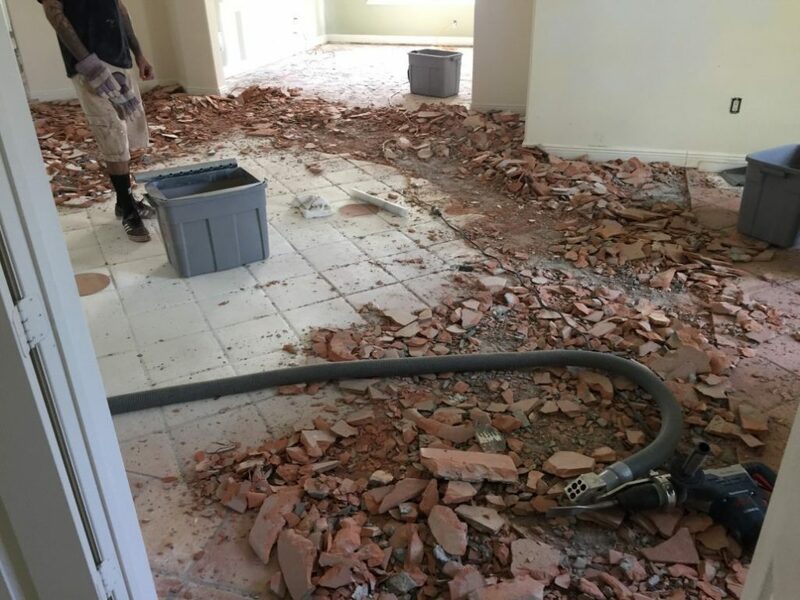 Included in the price of all of our floor removal services is demolition trash removal. This means that instead of having to invest in renting your own dumpster to dispose of all removed flooring, we provide it for you! Just sit back, relax, and let the experts get your floors where they need to be!